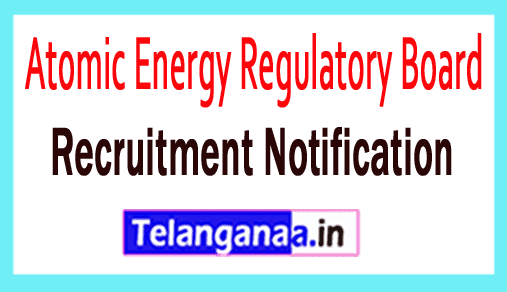 Job notice with name as AERB recruitment has been given by the Atomic Energy Regulatory Board. 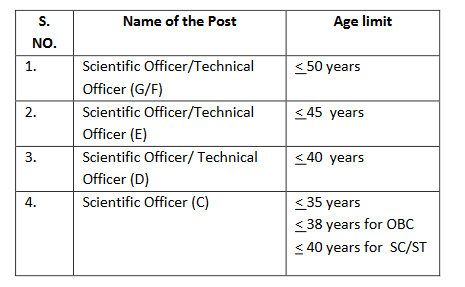 Excellent and qualified applicants can submit their prescribed application form for 20 vacancies of Scientific Officer / Technical Officer before the deadline of 31 October 2018. Job seekers who find themselves suitable for AERB jobs and can get other related information about AERB recruitment 2018 from this page which is well equipped by the team of www.telanganaa.in. Essential Qualifications: Job seekers should have Engineering degree (Mechanical / Electrical / Chemical / atom / Civil (Geo-technical) / Instrumentation / Control / Electronics) / B.Tech. / BE / M.Tech. / ME (BTech / BE / MSc) / PhD / MSc Physics / Diploma (radiation physics) or equivalent examinations from any recognized institution. Scheduled Castes / Scheduled Tribes / Pre-S / Female candidates will be exempted from payment of application fee. How much will I get in the form of a pay band? On the basis of their performance in the screening test / interview, the participant will be recruited against this recruitment which is being organized by the organization's recruitment committee. The process of filling the AERB application form? To open the official site of http://www.aerb.gov.in you must first open all the applications. Online registration will be open from: 01-10-2018. The last date for submission of online application form is: 31-10-2018. Click AERB Recruitment Notification here.